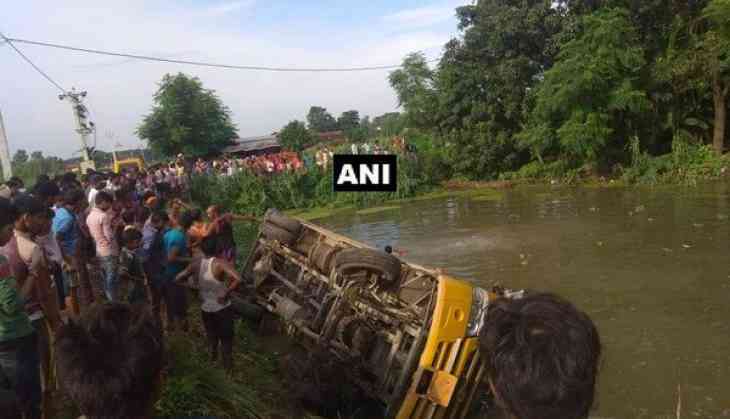 Five people were killed and 21 others were injured after a bus fell into a 50-feet deep gorge near Mohanri in Uttarakhand's Almora districts on Thursday. The accident took place on Bhatrojkhan-Bhikiyasan route. As per reports, there were about 30 people in the bus at the time of the accident. Briefing about the accident, a police official said, "A Garhwal Motor Owners Union (GMOU) bus plying between Ramnagar to Gairsan fell off the road into a 50 feet deep gorge near Bhatrojkhan Mohanri." Senior officials have reached the spot and injured have been admitted to hospital for treatment, the official added.